Alison: With the rainy season upon us, the spring semester is now more than half-way done. I find that there is no better way to restore my flagging energy levels than to go to a conference. 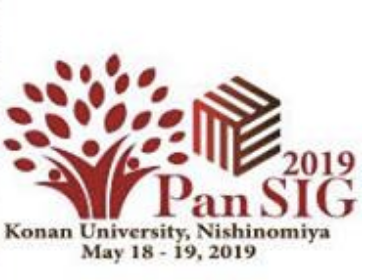 I was lucky enough to attend the PanSIG conference in Nagoya on May 17-18. 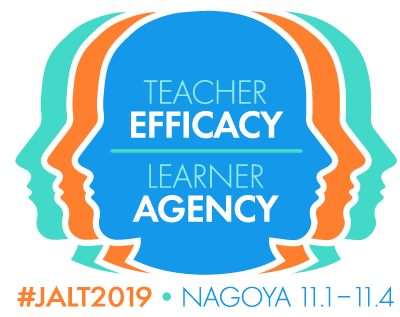 I can’t make the JALT CALL conference at the start of June at Shinshu University in Matsumoto, but I know that a lot of LD SIG members will be there and I’m sure it will be a stimulating and rewarding event. Conferences play an important role for me in my professional development. As a university teacher, I’ve had very little formal professional development in any of the places I’ve worked. An exception is Chuo University Faculty of Law where I worked part-time for a couple of years. The Faculty of Law English Department holds “retreats” once a year for teachers to share their teaching practices, materials and resources in teaching classes that make up the Taught-in-English curriculum there. At Gakushuin, where I teach now, we have tried various forms of informal meetings, including working lunch and dinner meetings, which are too rushed or too unfocused, and one-to-one meetings with part-time teachers, which lack the sense that professional development–whether it’s for individual or curriculum improvement–is best when it’s collaborative. My university, like most other universities that I know of, does conduct student evaluations of courses and sends me my results. Whilst I’m happy if these confirm my impression that the classes have gone well, I find them a bit of a waste of paper in that they don’t lead to any discussion of how I could improve. So, much of my learning as a teacher occurs outside of my job. I started attending conferences 15 years ago, as a fairly novice teacher. In my first year, I managed to get proposals accepted for three conferences, two in Japan and one in the United States: a real baptism of fire. In fact, the experience was so stressful and overwhelming that I didn’t go to any more conferences for the next six years! But then I started again, this time with a new attitude. Whereas the first time round I’d felt that I was on trial, now I saw conferences as a place to share research and practices with other teachers and to learn something new. In the past eight years, I’ve never been disappointed. How about you, Chika? How do you go about professional self-development? Chika: I try to attend several conferences every year. My current purposes of attending the conferences are mainly two: to gain new knowledge and perspectives, and to meet new/old “academic” friends. When I attended a conference for the first time, I still remember that I was kind of nervous and just tried to understand conference conventions by watching presenters and their audiences. Like you, Alison, I think the main purpose of attending the conference was to gain new knowledge and reflect on my teaching practice by applying new techniques I learned at the conference to my teaching context. A few years later, I had the chance to give a presentation on part of my research at a conference. I was a “peripheral” participant for a long time; I just sat in the audience and felt physically and emotionally isolated from the academic community. However, when I gave a presentation, I changed my physical position and felt I was a member of the academic world. I found myself enjoying the interaction with my peers and was happy that people gave me feedback and asked questions. Some gave me constructive feedback, while others asked me questions which made me think deeply about critical issues. Realizing how huge the gap had been for me, I realised in turn how important it is to express my ideas and share my feedback with the presenter and audience. This is the way to narrow that gap. Last year I also experienced a new form of presentation: a symposium. Unlike an individual presentation, a symposium is very collaborative in that the presenters share the same theme but look into it from different perspectives, and the audience who have similar interests to the presenters are more open to sharing their views and experiences. Experiencing different types of presentation gave me new insights and also helped me to expand my academic network. Reflecting on the past few years, my professional development is parallel with my social development. How about you, Alison? Alison: I hadn’t really thought of it in that way, though it’s certainly true that I’ve developed close friendships with people through my efforts to develop as a teacher and researcher over the past few years. Although I’ve been a JALT member for many years, I became active only about eight years ago when I started to get involved in the LD SIG. At that time, LD SIG members in Tokyo and elsewhere started to meet in regular get-togethers. Although I had some good experiences working with other teachers at my job, the SIG get-togethers gave me an opportunity to talk about learning and teaching in a way that I hadn’t experienced before. I remember one time complaining to the other members gathered around the table about a bad relationship I had with another teacher at work, expecting everyone to take my side and sympathise with me. Instead, I received the comment, “Well, what did you learn from that experience?” Though this took me aback at the time, I thought long and hard about it. I realized then, and try to keep in mind now the fact that any experience, good or bad, can become an opportunity for learning and personal growth. But on my own, I would never naturally see such experiences as learning opportunities; they are only good things I can be proud of, or bad things that make me feel like a victim and blame others. I need the SIG, a community of supportive but critical peers, to help me to see my work from a learner development perspective. It’s thanks to this community that I’ve gained confidence to take on more active and public roles within JALT. And this has become a virtuous circle: the more roles I get to experience, the more I learn and the more doors open up for new experiences and opportunities. Are there any new doors opening for you in your professional life in the near future, Chika? Chika: It sounds like that the LD SIG is another home for you. It is a place where you can get back anytime to see your “family.” Like your parents, your “family” listens to you, shows their trust and provides constructive feedback. As you say, they are critical peers, but it sounds to me that they are critical best friends. With the trust and affection you get from your “family” at home, you can move forward and take on new challenges with confidence. As for myself, the SIG and other research communities I belong to are the places where as a researcher and educator, I can develop my thinking as I constantly reflect on my educational philosophy and practice, and, as a person, also can expand my perspectives and realize my potential in different ways. My relationships with my colleagues and the strong sense that I belong to certain communities empower me in many ways. The new challenge I’m facing now is to include more collaborative elements to my teaching practice and professional development. I would like to share my thinking through dialogues like these, and integrate new ideas and perspectives into my processes of learning.